Here’s the story: get it while it’s hot. We are pre launching the My Little Pizza Figure at Los Angeles Comic Con this weekend while we have the artist’s father, Scott Tolleson at our booth. Here to add some extra ingredients to the story is our good friend Chris Holt aka The Toy Viking. 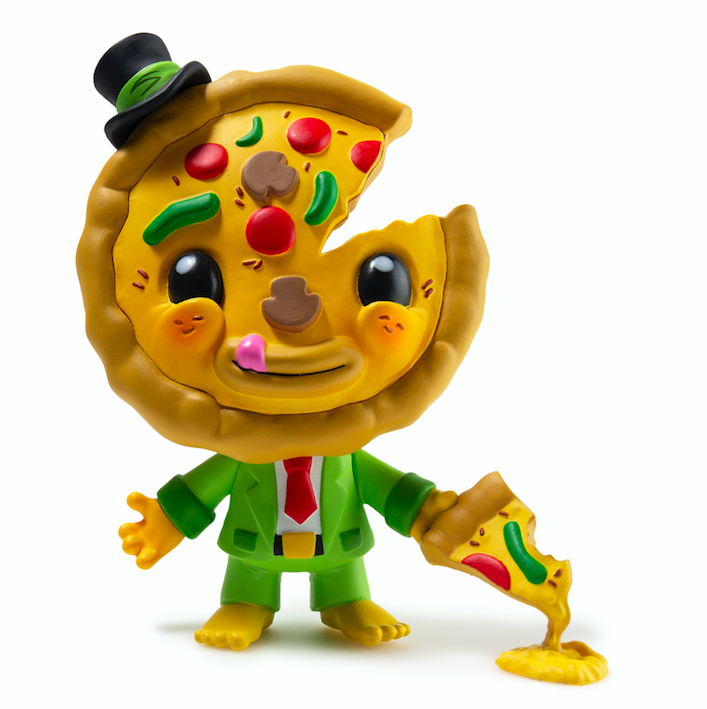 Kidrobot’s latest figure, My Little Pizza, has developed a taste for his own face! And he seems perfectly happy that one day he will have completely devoured himself. He could be the best example of selfie culture, in which our own vanity compels us to give away bits and pieces of ourself online for the public to consume until there is nothing left of us that is real and we are but shells in an augmented reality. Or he could have been created by Scott Tolleson’s two young daughters who think a pizza man that wears a suit and likes actually eating pizza is the funniest thing they’ve ever seen. I still think they’re secret geniuses so I’m going with the first explanation. When I was Lyla and Piper Tolleson’s age I spent my days outside, playing with my action figures in the creek or bringing a random assortment of creatures home that my mother would make me promptly return to the wild. 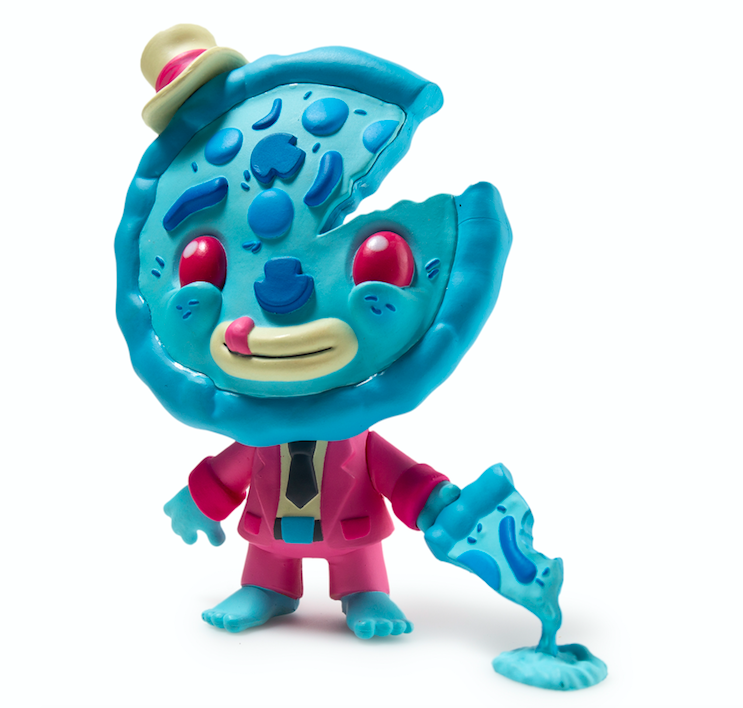 These two not only have their own internet show where they open blind box toys (and react the only way that kids can to what they get), but they also designed a vinyl toy. I seriously needed some better guidance from my imaginary friends. 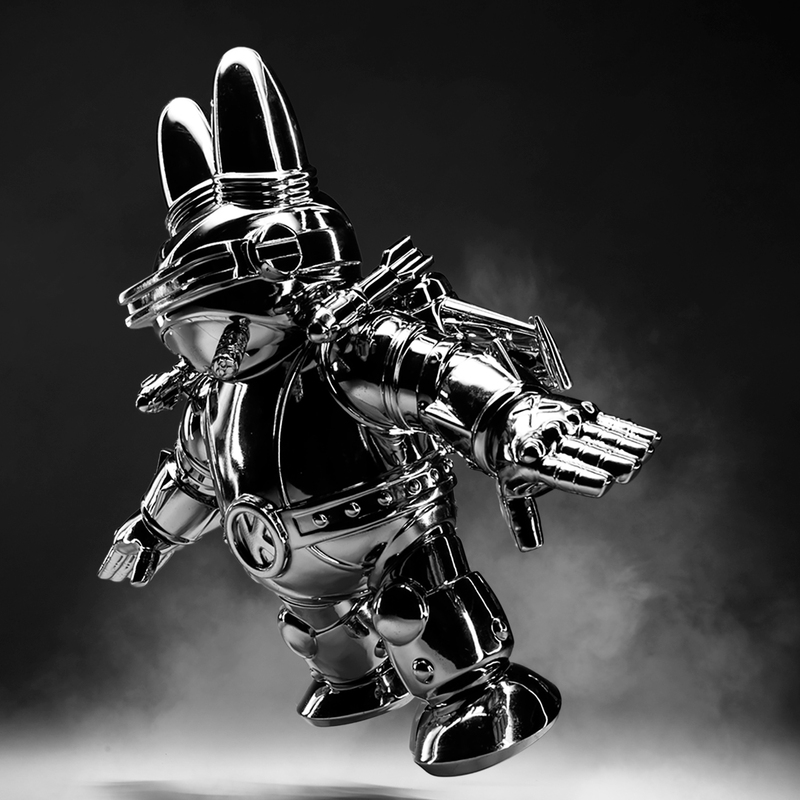 You’re going to need one of these ASAP, not only because of how cool this dude is, but because once they’re the most famous toy makers on Earth, you’re going to regret not picking up their debut release. I’m hoping to get mine signed by them, but so far their management hasn’t returned my calls . 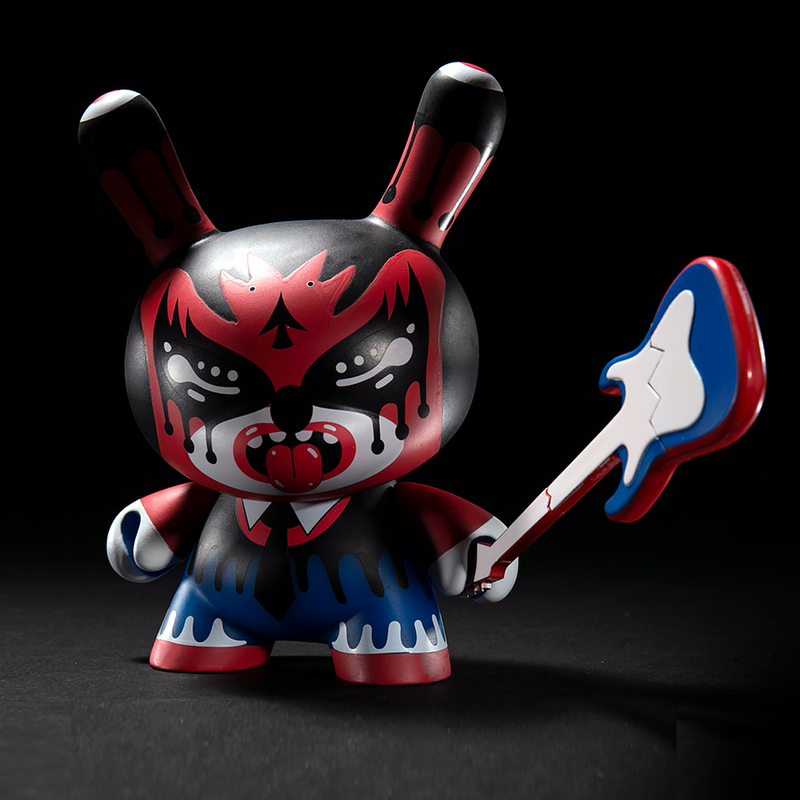 Pick one up for yourself now at www.kidrobot.com. The post Kidrobot x Scott Tolleson, Lyla & Piper Tolleson: My Little Pizza appeared first on Kidrobot Blog.